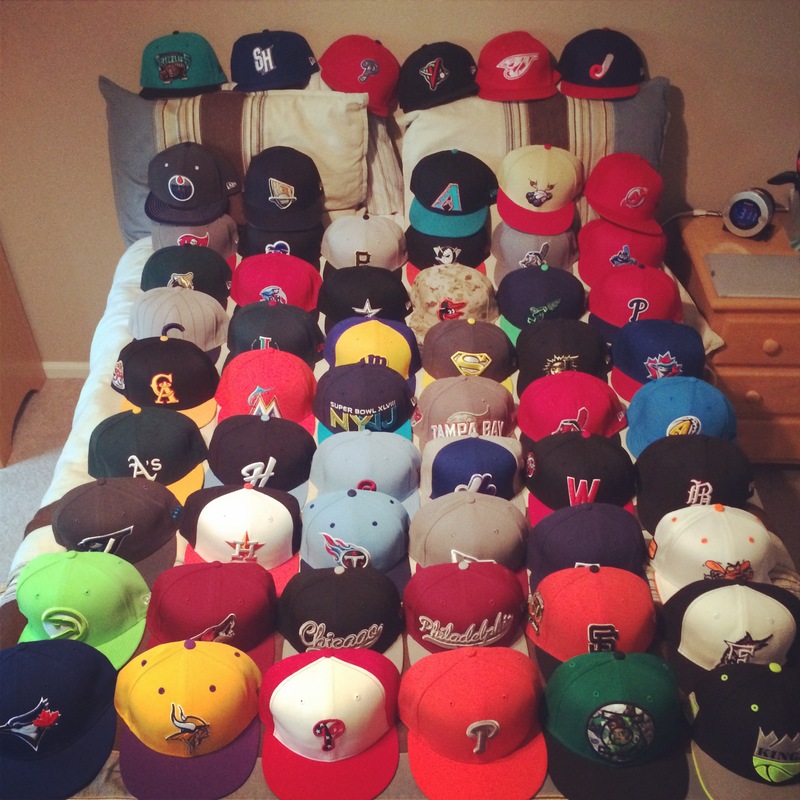 My name is Vincent Santore and I am a New Era Cap Collector. Currently a student at Seton Hall University, I still manage to find time to write about my beloved cap collection. Hey Vincent. I saw your impressive collection over on the neweracaptalk website and that’s where I heard about this blog. Good stuff. I had wanted to ask if you knew anyone that owns the two caps at the link posted below. Im desperately trying to find these caps and would pay bug bucks for them. Please email me back, thank you so much! Love the blog! Hey Alan! So glad you liked the blog! I just replied to your email; I am more than happy to help out a fellow cap enthusiast! Hey Vince, I wish I had known you were going on a baseball trip, I could have saved you some money! Enjoying the blog man.